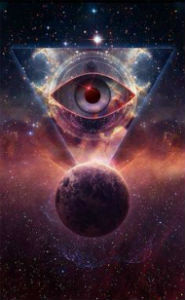 As the third eye veil slowly gets lifted away, seeing through the third eye rises the curiosity of many. The hunger of people for new & forgotten knowledge is growing every day. And evoking interest in esoteric, occult knowledge is a need to know more about the underlying world that encompasses everyone. The visions one has when he has wide-open third eye can be both exciting but also threatening. We’ll speak about that in a minute. Embarking on this journey, one must be centered & deeply grounded without allowing negative energy to take control of yourself. Seeing Through the Third Eye. Firstly, you must take gently the visions you get when you open your third eye. Forcing what you see can lower the frequency of visions and vanish the connection between yourself and the spiritual dimension. Know that the images you receive are coming from the spiritual world. The world that we can’t see but only sense. Fine threads of energy cover our whole body. 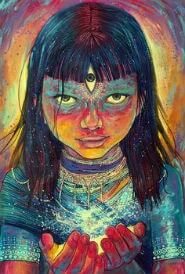 And with the third eye – an innate, spiritual gift when put into use will enable you to see that. 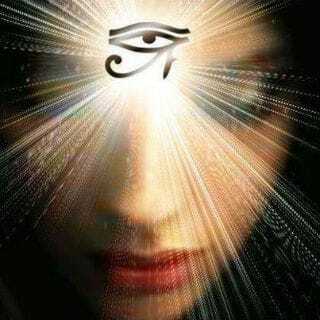 For a material person, bound to the physical reality, it would be tough to open and see through his third eye. What Are the Visions You are Having? The visions you get are a way to expand your spiritual self to new and undiscovered possibilities. These new possibilities can either enrich your life experiences or deplete it. Seeing through the sixth chakra, you will know & see more than what the normal eyes can perceive. You will be like a blooming flower from the inside that opens its energy making it much easier to catch the energy moods around. The spiritual world can pinpoint you if you are walking the wrong path in life, although there aren’t really “wrong” path in life, only experiences to learn from and progress. You must be sure you’re not neglecting your soul cravings and following that tiny voice that tells you what it wants. Your heart will reward you with inner peace when you are doing what you destined to do and experience the events that will take you to your final destination. Neglecting its little voice, feelings of not knowing where to go in life will start to arouse. Seeing through the third eye means you can fix this errors. You will increase your intuition to unseen levels, will start to see more clearly where you stand in life, the “mistakes” you make and how to improve. 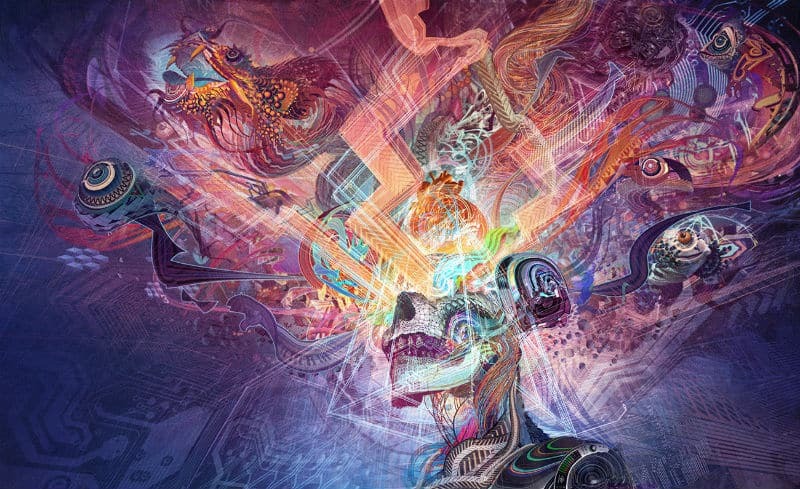 Seeing Spiritual Beings Through the Third Eye. One of the things that happen is that you will probably start to see beings from the spiritual dimension apart from other benefits . Spiritual beings surround us all the time. However, we’re not aware of their presence in our daily lives. For some, the element of glimpsing entities from the spiritual realm can turn out to be a real burden. Many have depictured the beings as scary and even evil. When one’s energies are overall drained, he is much more vulnerable to negative influences from the spiritual world. Low energy fields invite unwanted spirits leaving you feeling frightened and regretful of your choice. Of course, there are good spirits out there. But they can manifest only when your vibration is high & you’re deeply rooted to Mother Earth. The reason why so many people have overall bad experiences with the third eye is because of neglecting an essential rule – making sure you have prepared yourself to enter the spiritual world and seeing through the third eye. Read: How to Lift Your Vibration. How to Handle the Spiritual Beings? An instinct reaction in such a situation would be to react like that and wish to close yourself to the world that surrounds you. But if that scenario occurs to you what would be ideal to do is to rebel them. Not physically but by eliminating fear out of you, by finding your inner strength, by calling the Light to come to help. However, the other side of the coin is if you have taken enough time to prepare yourself before doing it, it’ll be like a promise that nothing bad is going to happen to you there. Being in harmony with the creatures in the spiritual realm will ensure everything will run smooth. Living in peaceful coexistence with the spiritual world would enable you to develop your spiritual gifts. Read: What are the Rewards of Awakening Your Sixth Chakra? As always, have fun, have a great day and don’t be afraid to show the light you carry to others everywhere you go.